Made from weather and heat resistant powder coated steel, it's the barbecue with the lot. 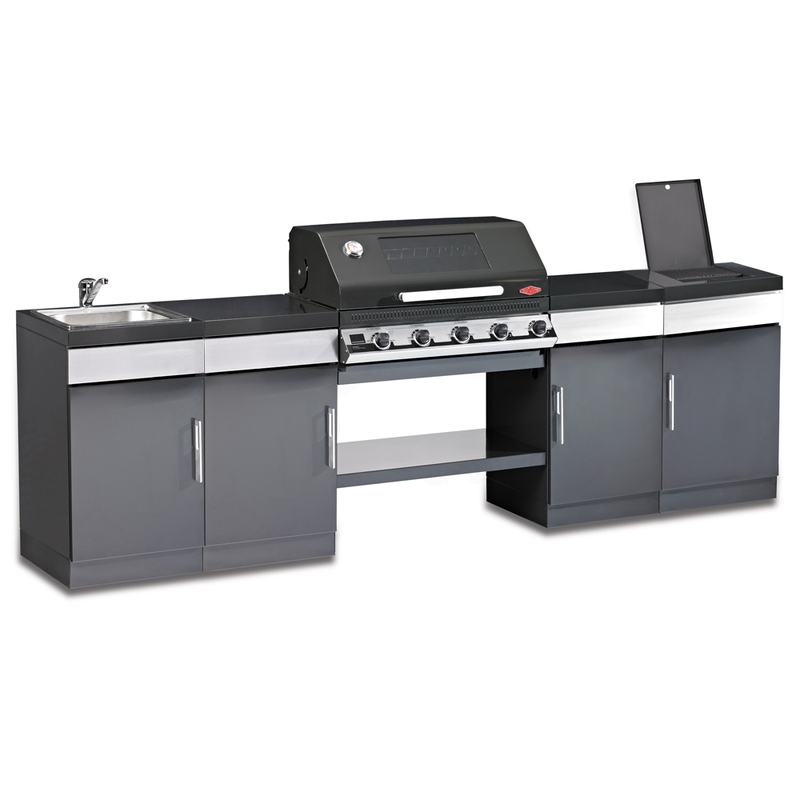 Available as a 5 burner barbecue that can be put together almost any way you like. Add extra drawers and cabinets, however this set is supplied with side burner cabinet and even a sink!. This beauty also comes with adjustable feet.